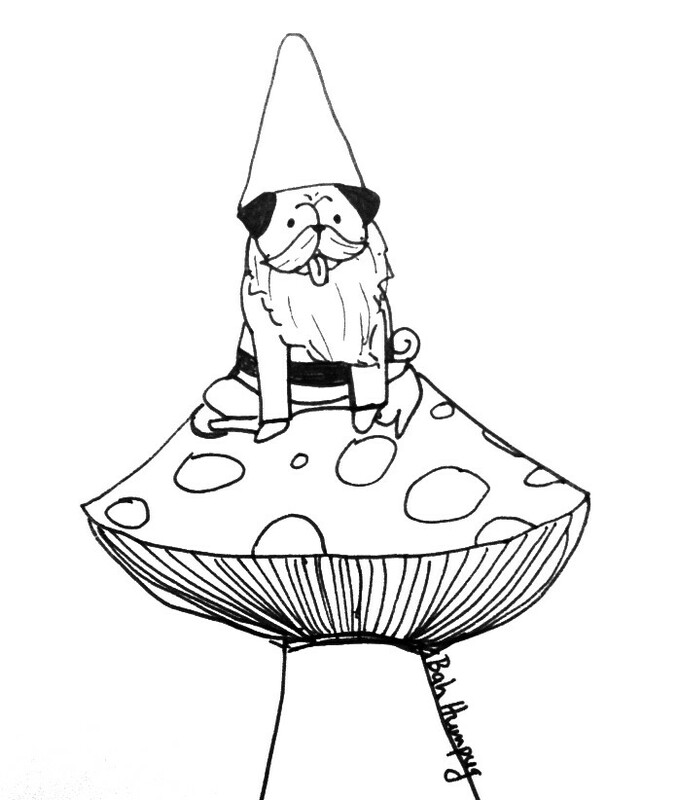 Gnome pug wishes to decorate your lawn. This is amazing. You need to color it in, then make it into statues and sell them in the airplane catalogue. Hahahaha - I love how specific your scenarios are! 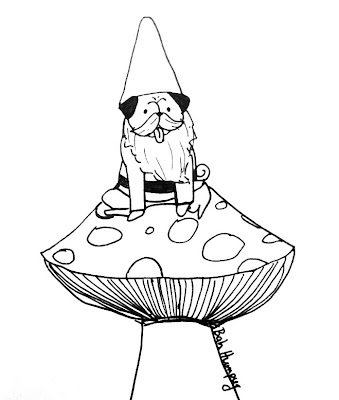 I will color this in one day and then maybe one day when you're on a flight, bored out of your mind, and absently flipping through the airplane catalogue you will see a pug gnome in there. And you will buy it. And love it. Forever. Yes, this would look right smart in my front yard, with a spotlight. I like all your posts but there are too many for me to keep track of. Guess that's good that you're so prolific, though. Well, there's also that annoying word captcha. Many of us have turned it off. hint hint.